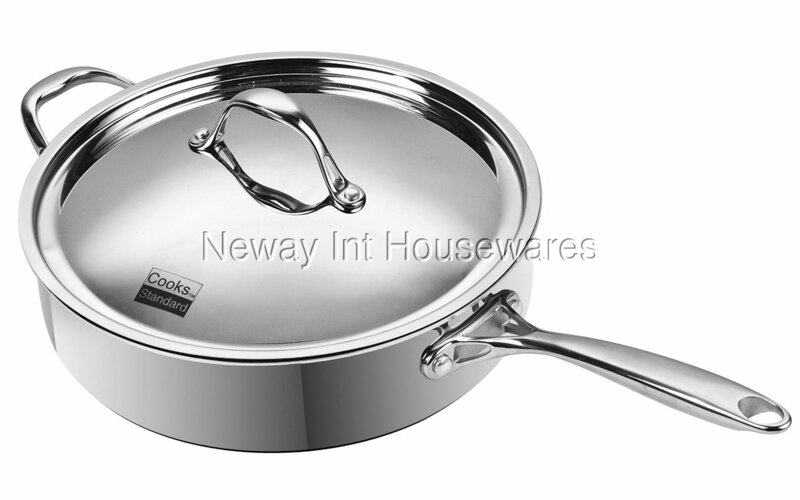 The Cooks Standard 10.5-Inch/4 Quart Multi-Ply Clad Deep Saute Pan with Lid, Stainless Steel has 2 layers of stainless steel and an aluminum core along base and walls. Stainless steel lid keeps heat and moisture in. Riveted handles stay cool with air-flow technology. Induction compatible. Works on gas, electric, glass, ceramic, etc. Oven safe to 500F. Dishwasher safe.